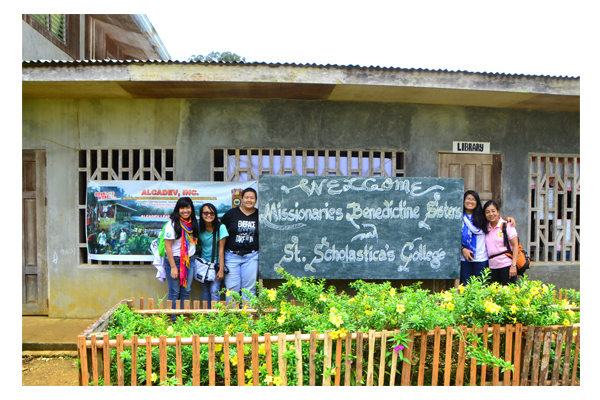 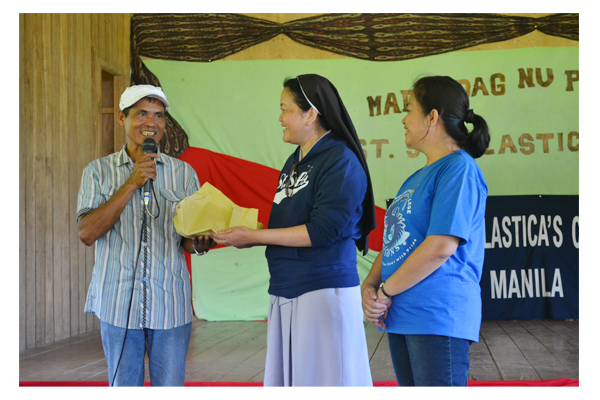 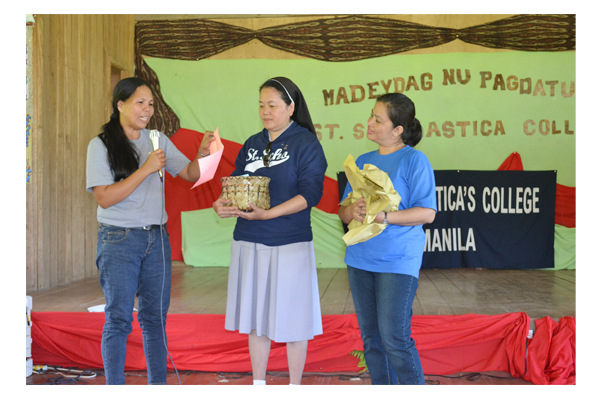 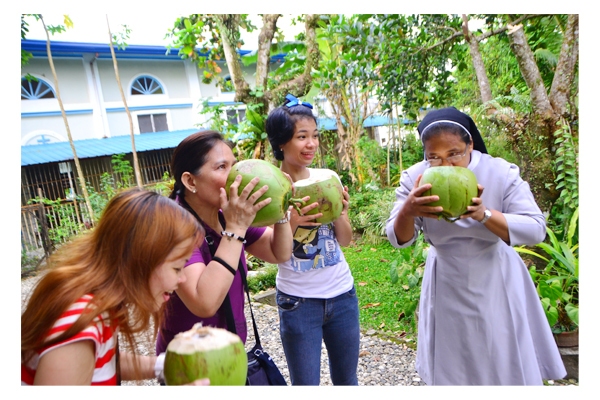 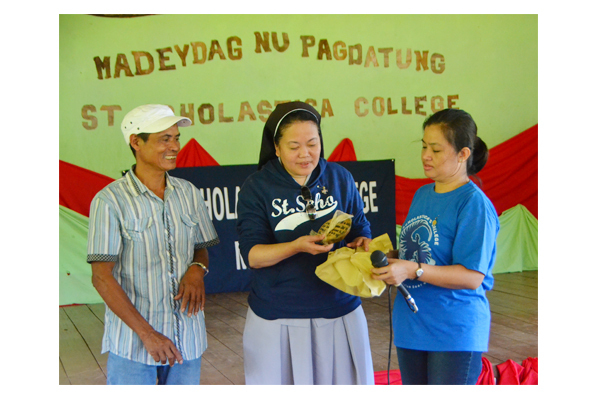 To re-affirm the commitment of St. Scholastica’s College for social justice and her preferential option for the poor and the marginalized, especially the indigenous Filipinos, 26 Benedictine sisters, faculty and students flew to Marihatag, Surigao del Sur for its outreach and exposure program, last August 29-September 1, 2013. 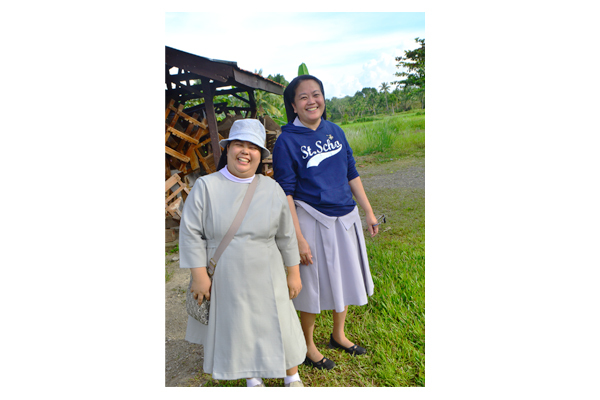 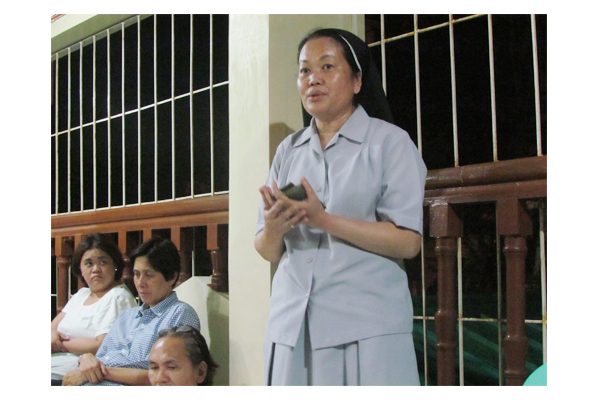 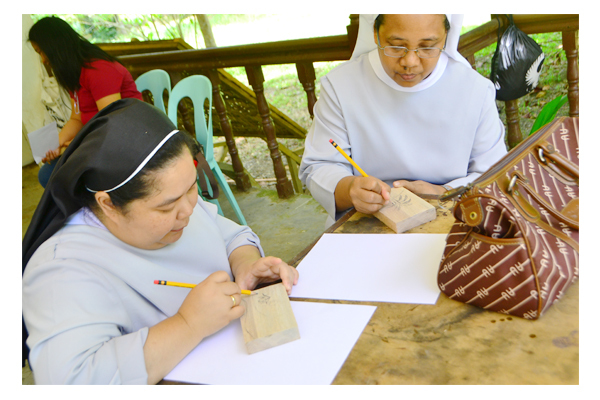 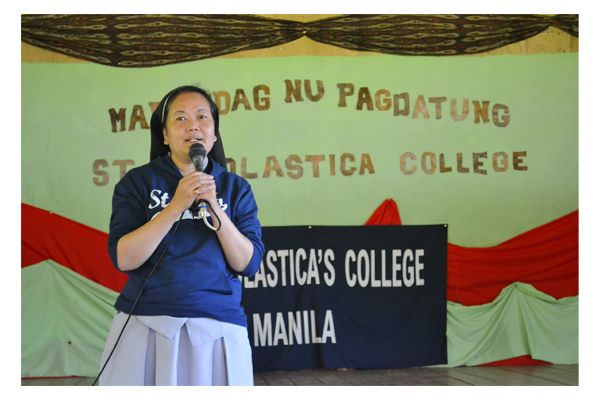 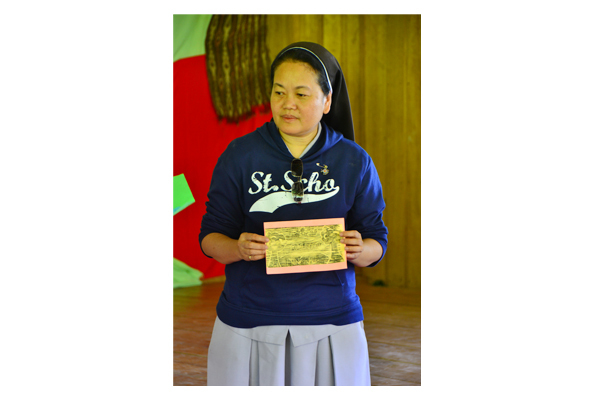 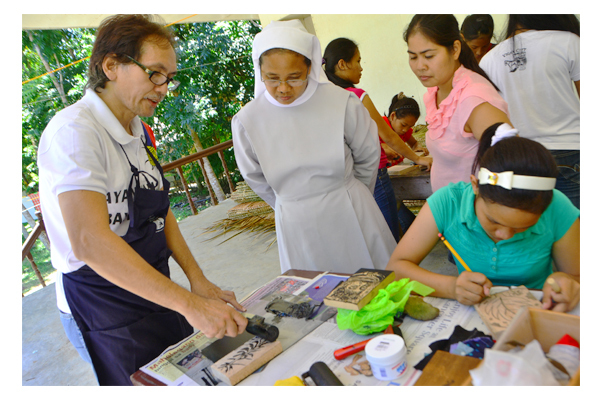 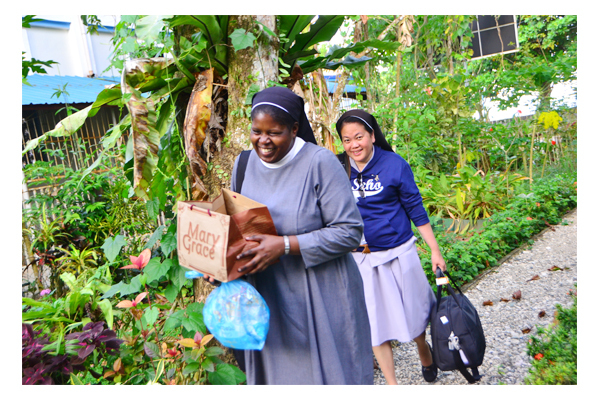 Headed by no less than the school president, Sr. Mary Thomas Prado, OSB with the Vice President for Academic Affairs, Prof. Virginia Fornias, the group also included three sisters, 17 faculty and five students. 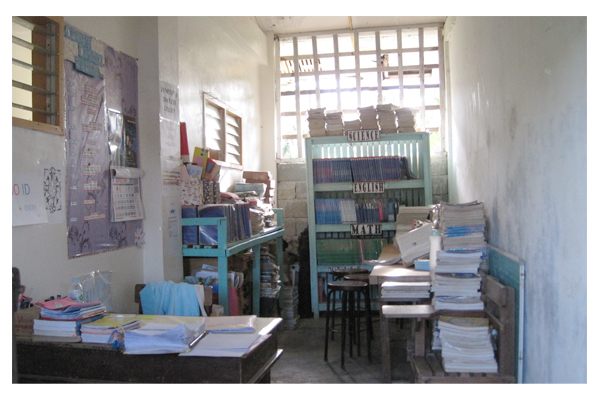 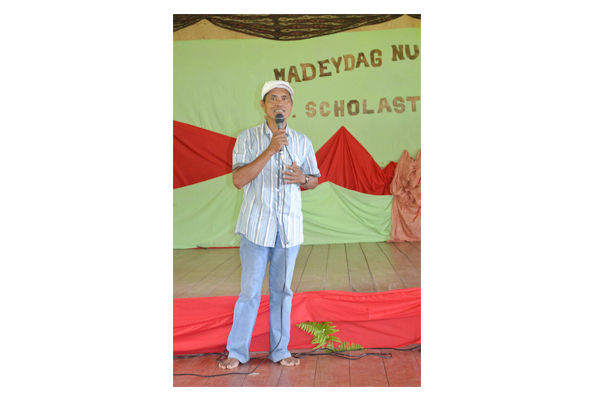 Visits to public schools in Marihatag and the Manobo schools in the mountains of Han-ayan were done identifying further other areas of collaboration and support. 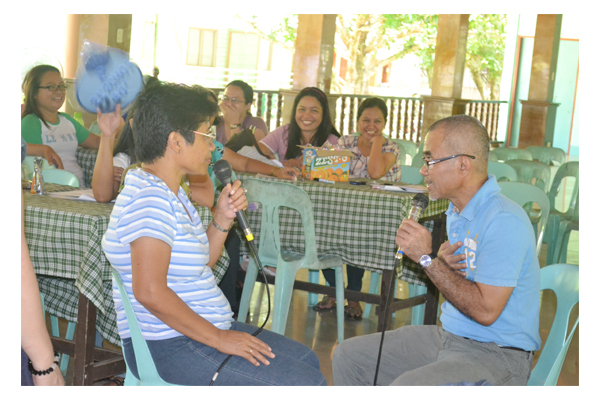 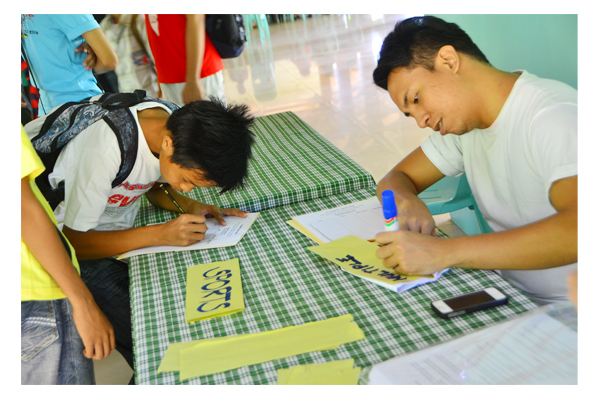 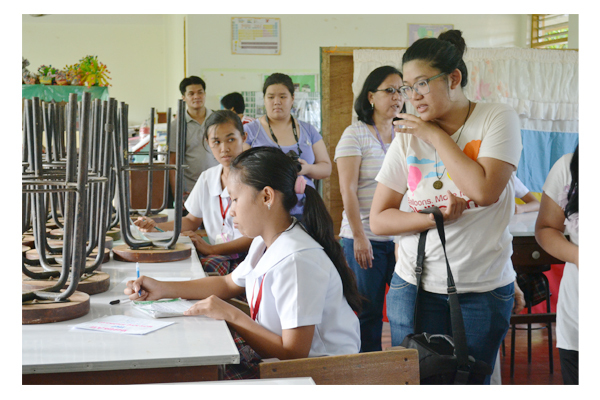 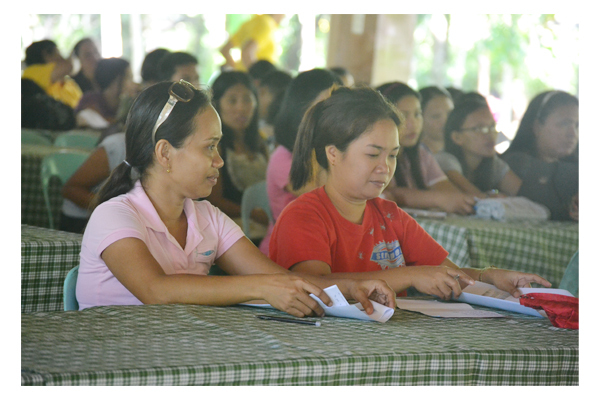 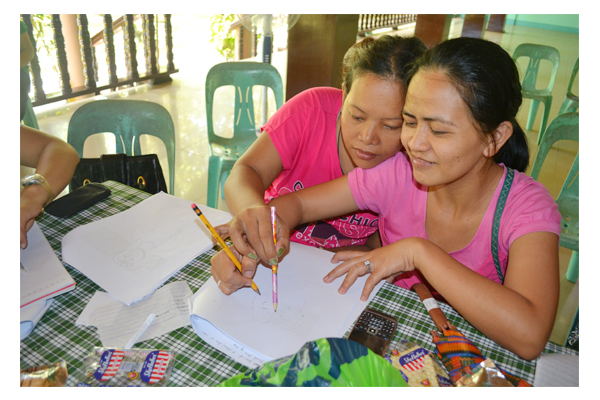 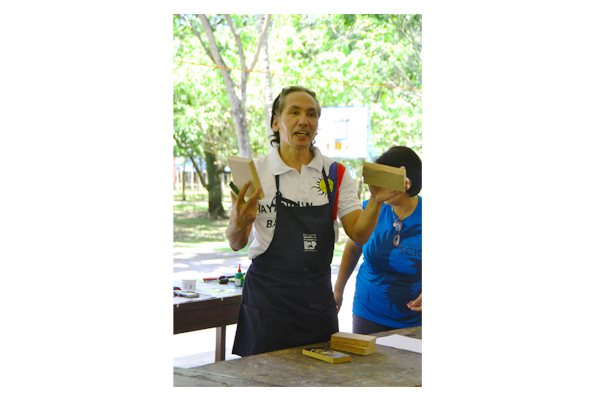 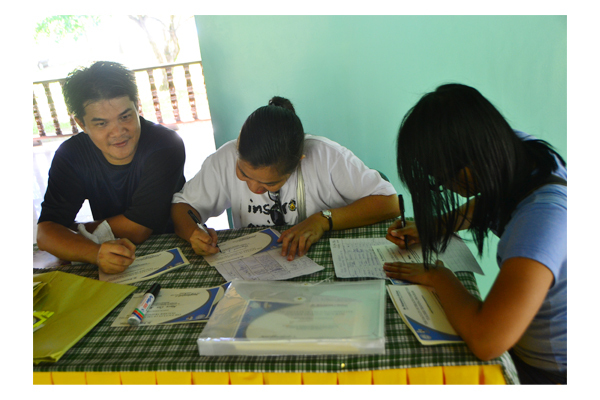 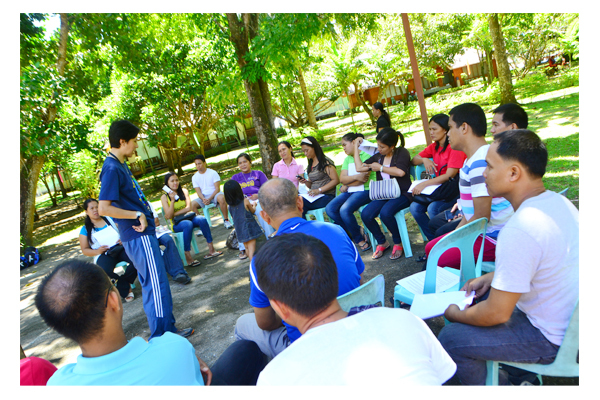 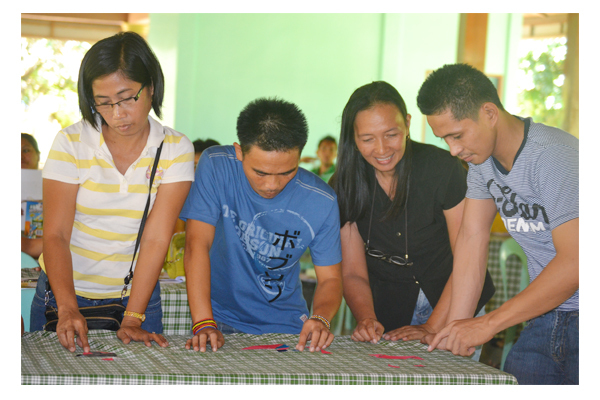 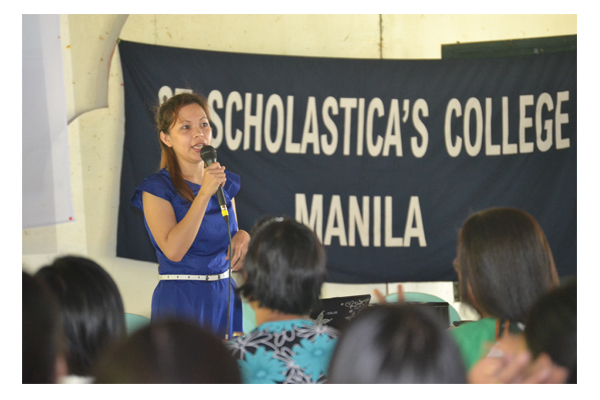 Teacher and Student Trainings were conducted on the following topics: Multiple Intelligences Seminar Workshop, Arts and Crafts and Tournament Management with updates on rules of popular games. 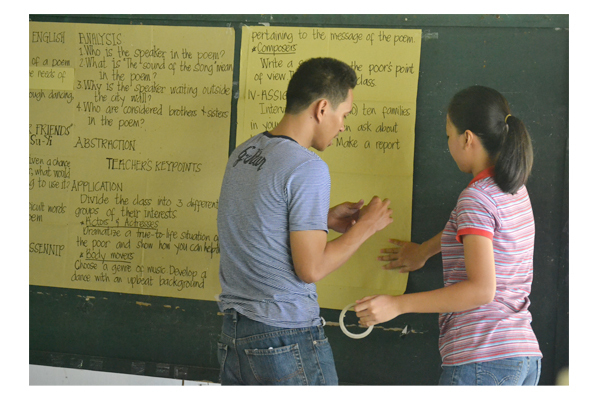 The student caucus zeroed in on characteristics and attitudes of good athletes. 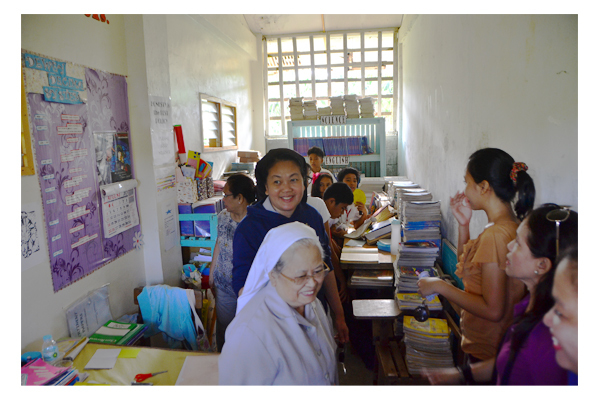 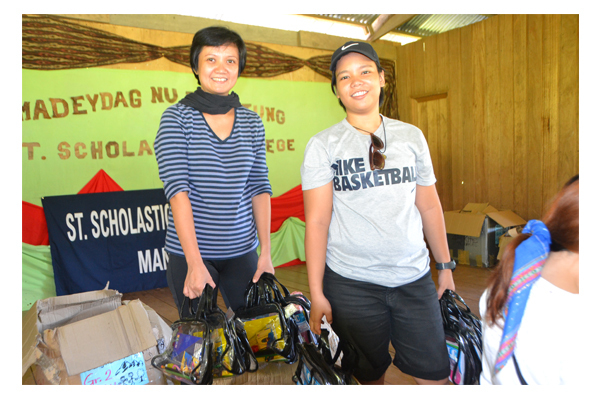 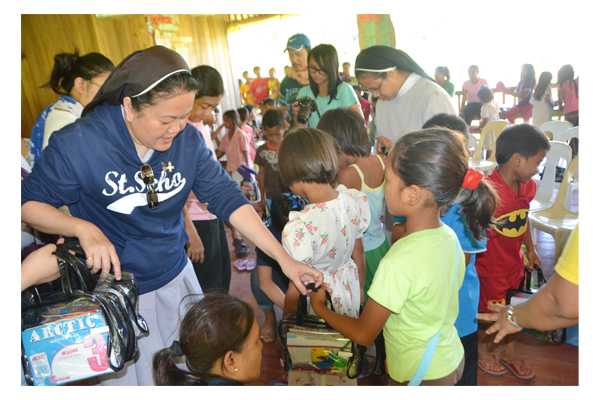 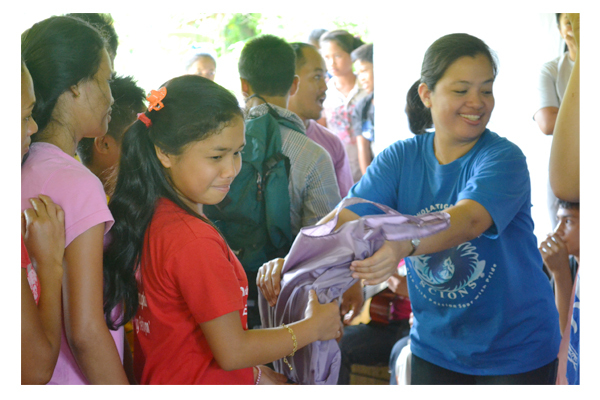 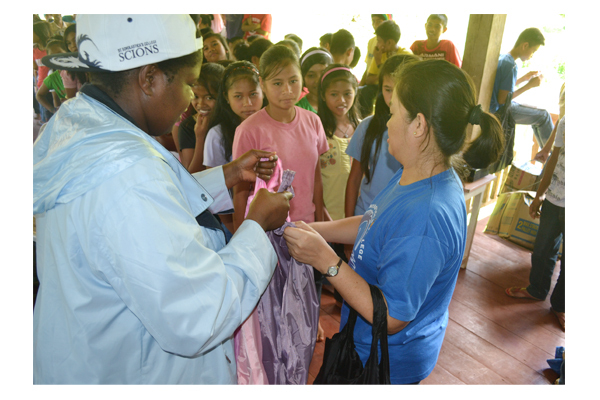 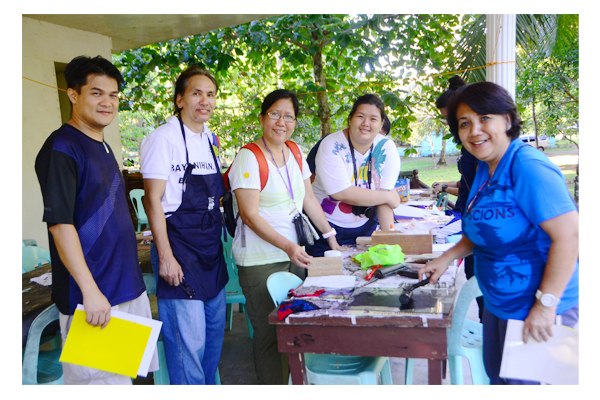 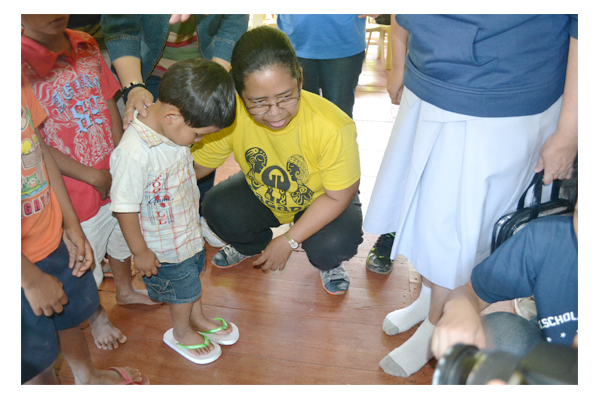 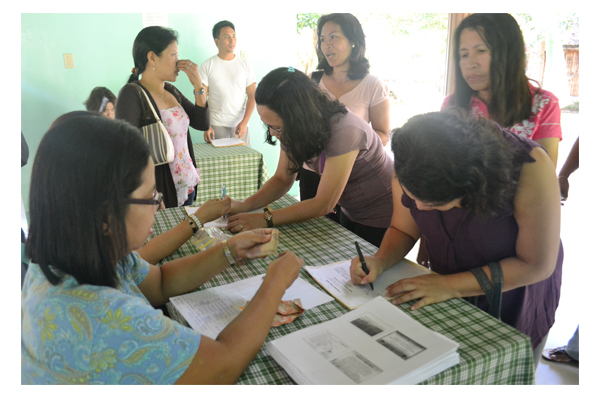 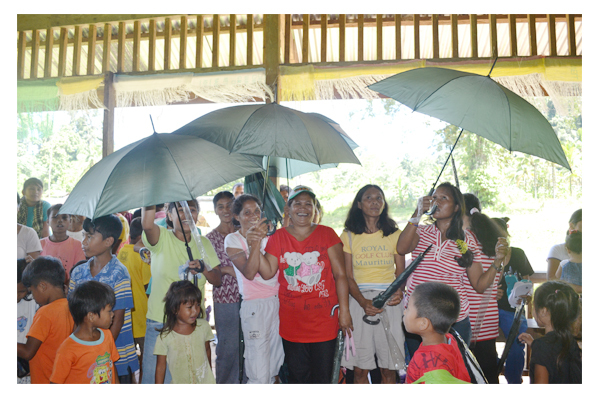 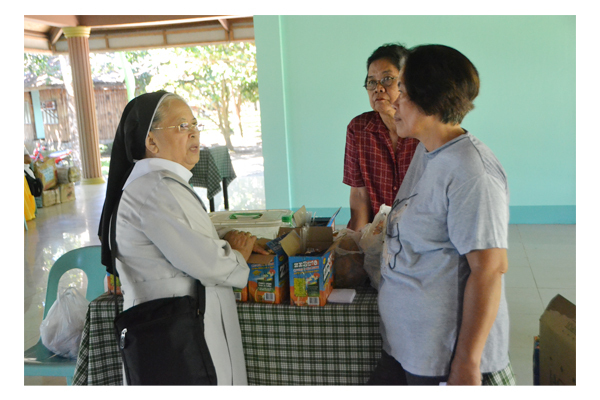 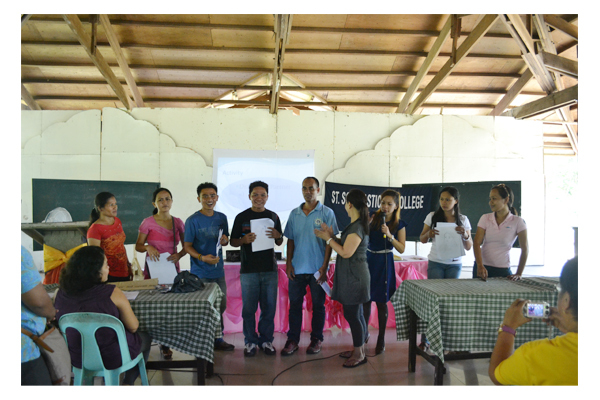 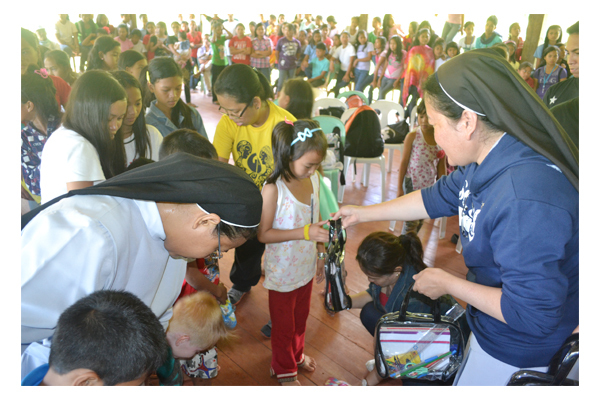 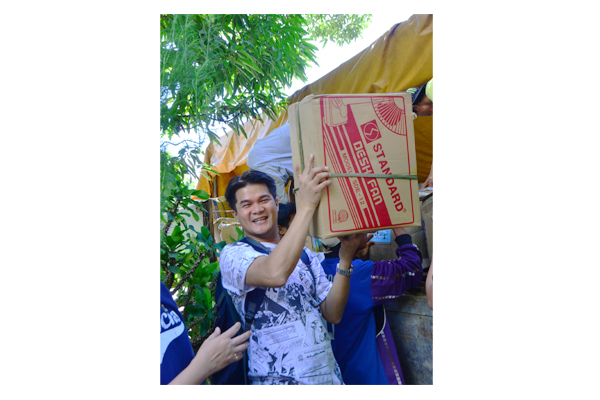 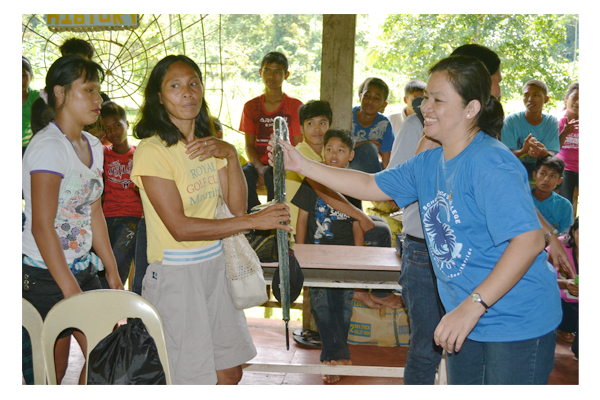 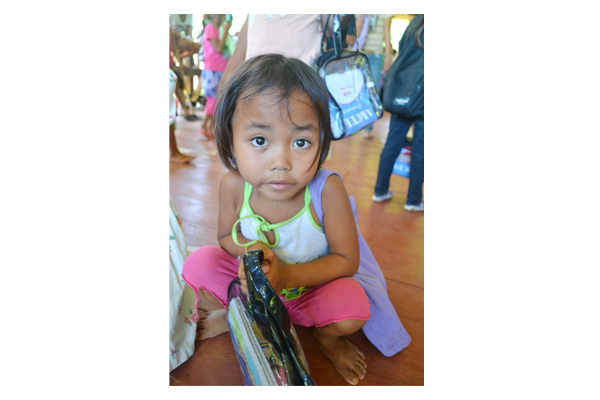 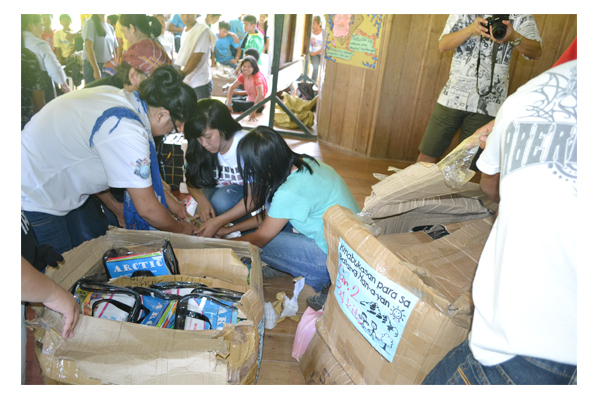 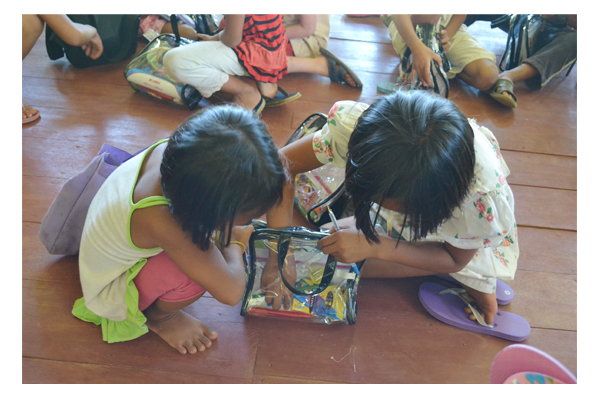 School supplies, slippers, umbrellas and kits for the schools and teachers were distributed. 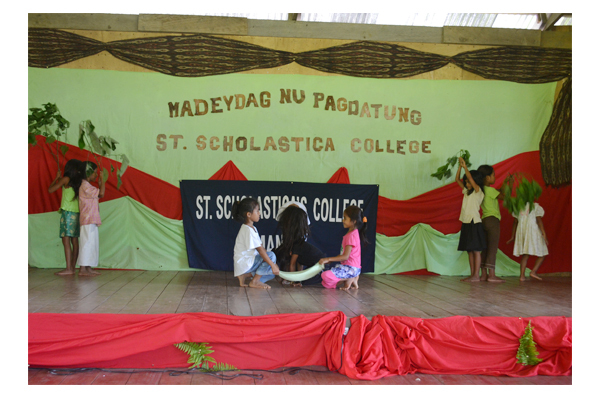 On their end, the Manobo schools in Han-ayan presented to the SSC group several dance numbers and its representative, Datu Jalandoni , reiterated the plight of the Manobos in relation to its continuing struggle against mining and logging operations in their ancestral lands and on-going militarization in the area. 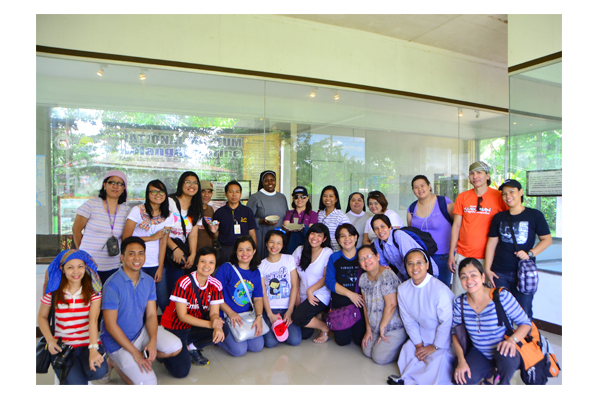 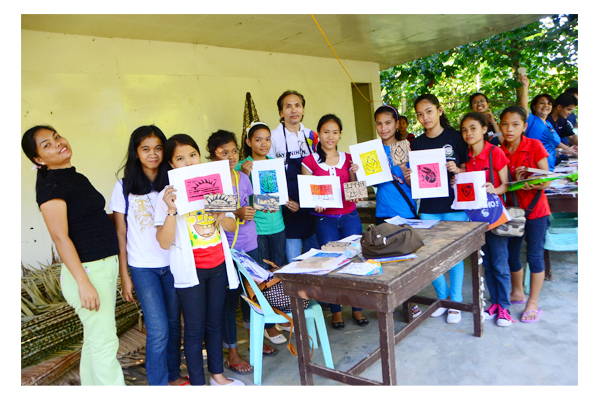 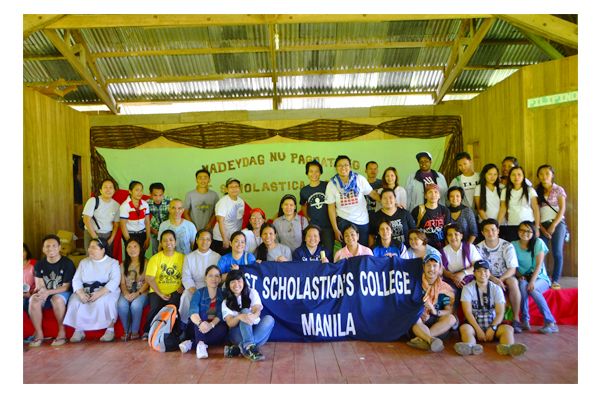 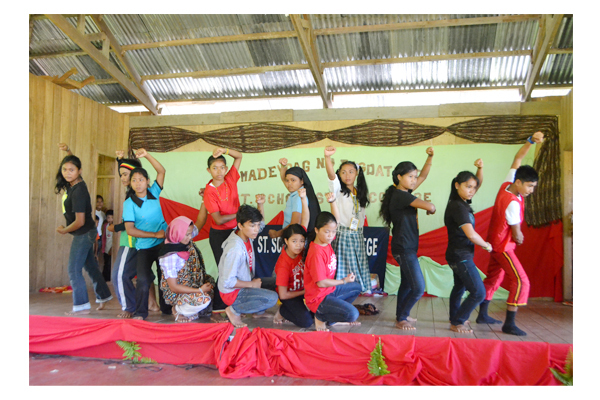 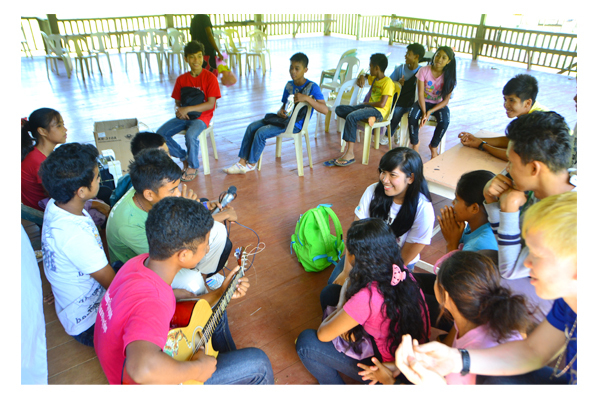 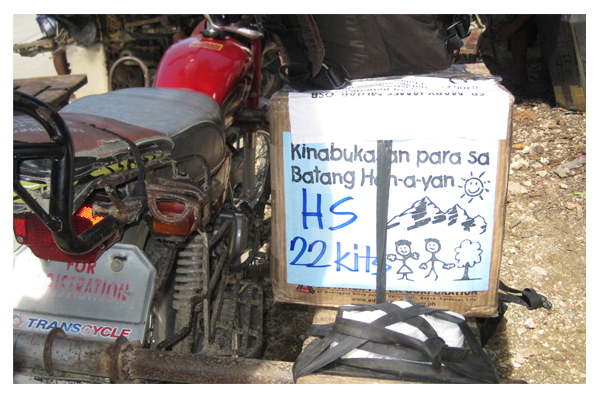 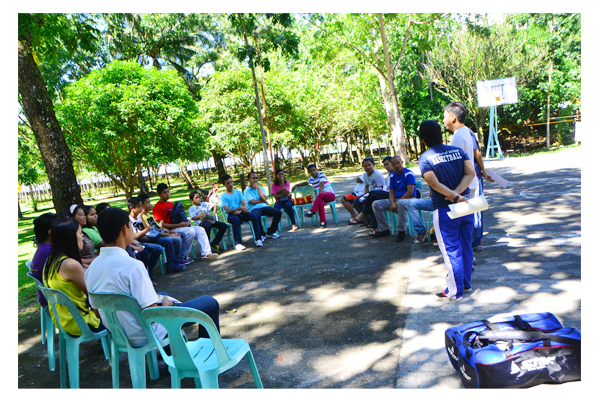 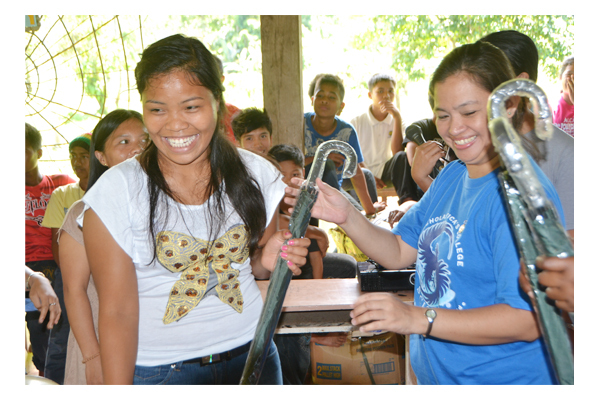 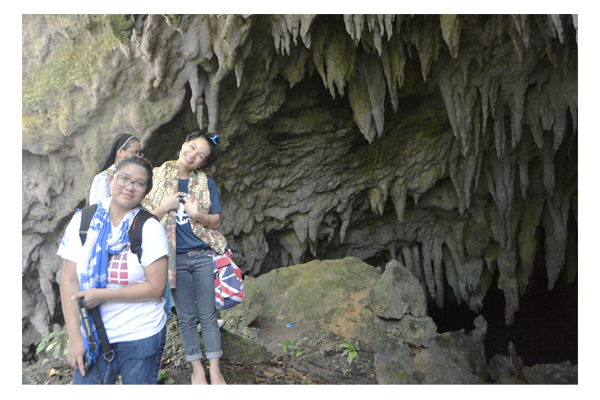 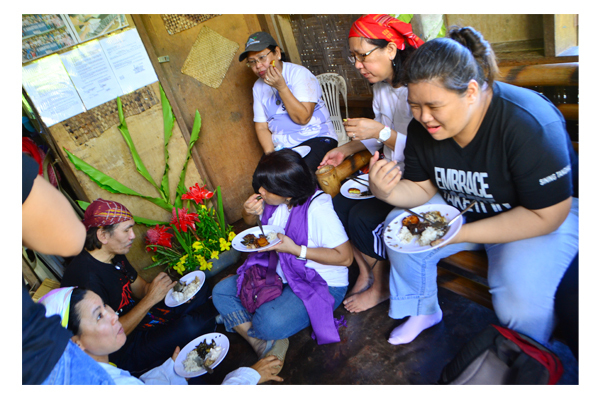 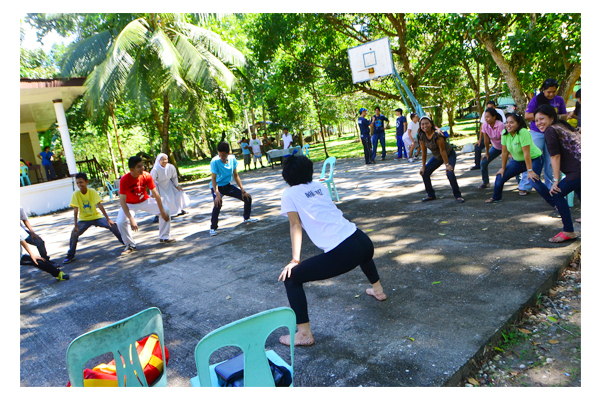 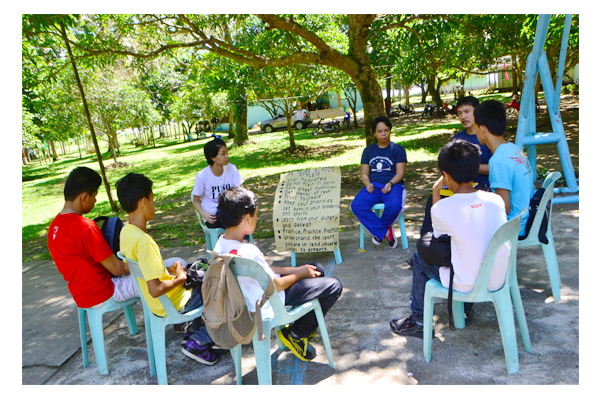 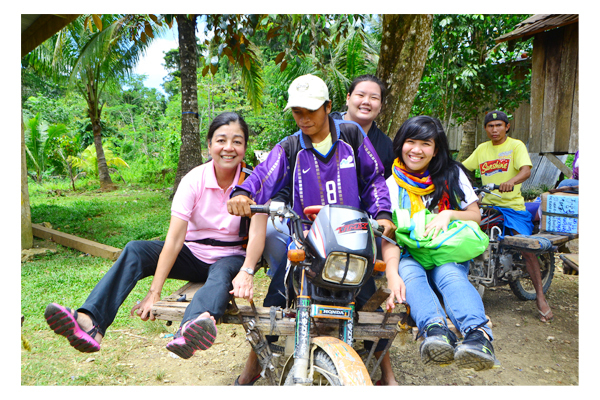 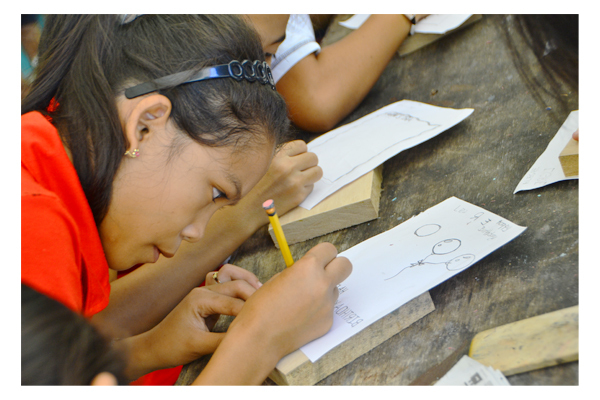 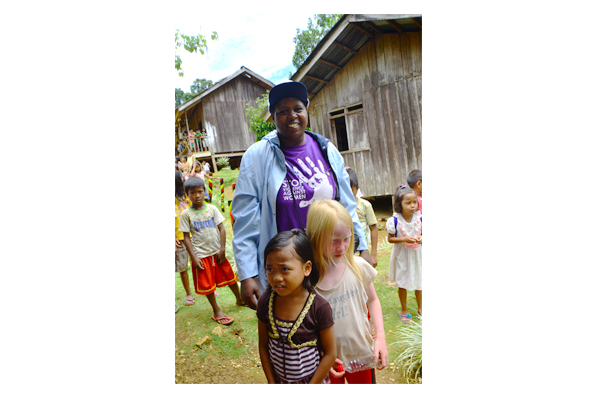 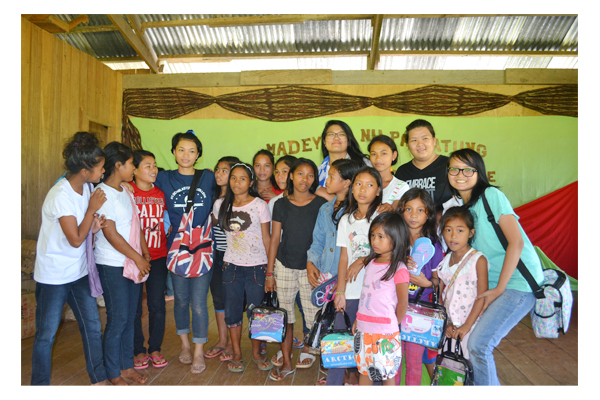 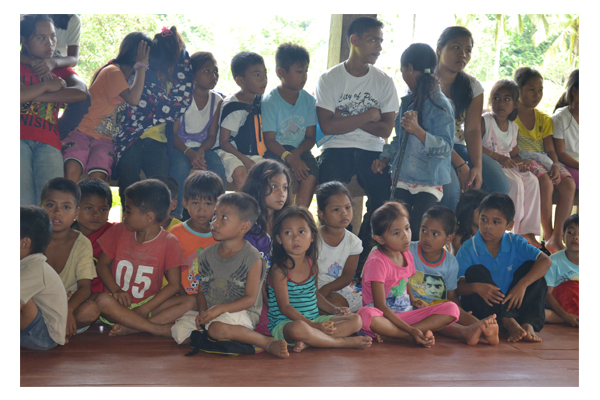 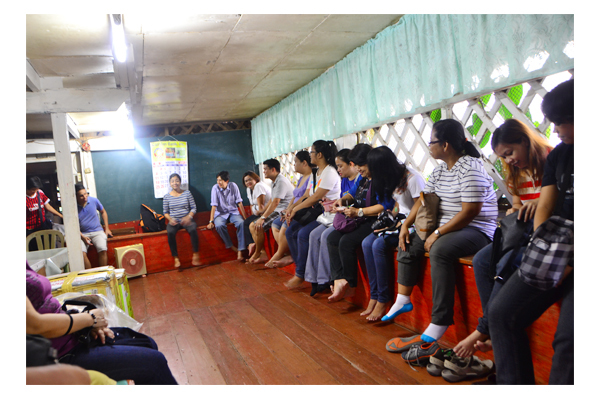 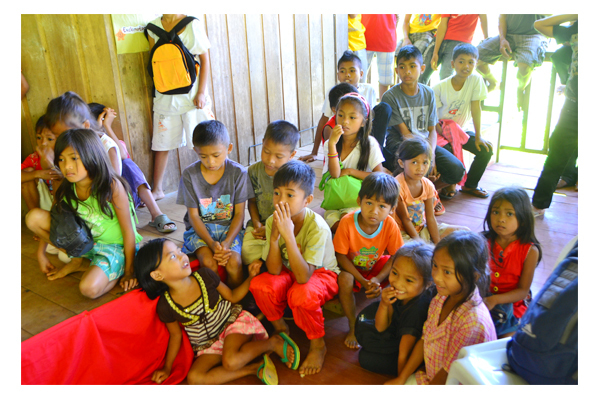 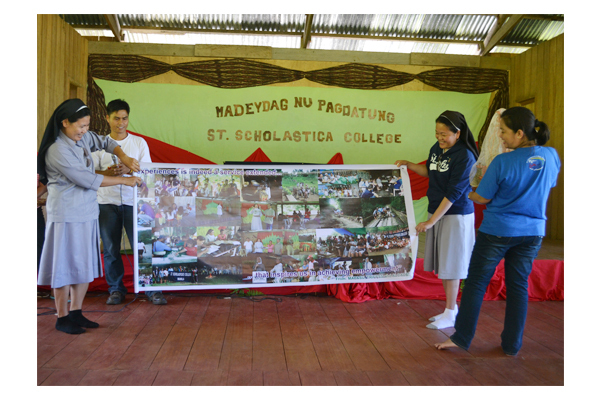 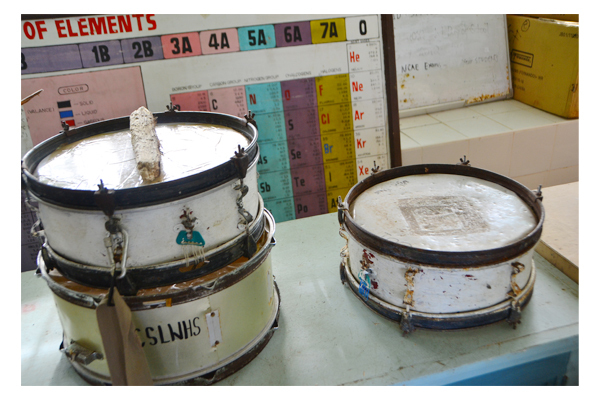 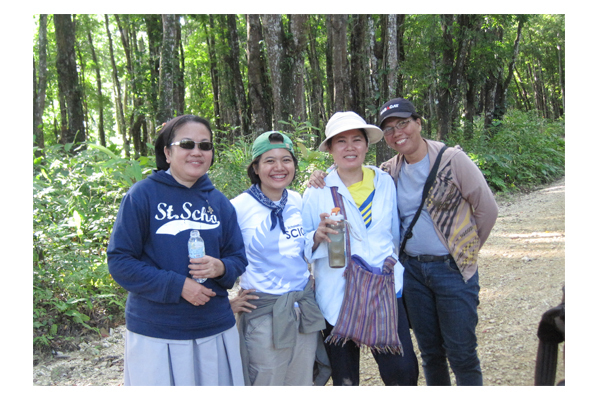 The experiences of the group in this Marihatag outreach and exposure trip were overwhelming, enriching and meaningful. 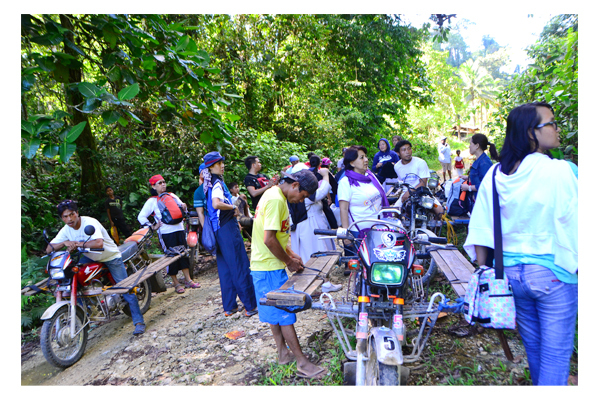 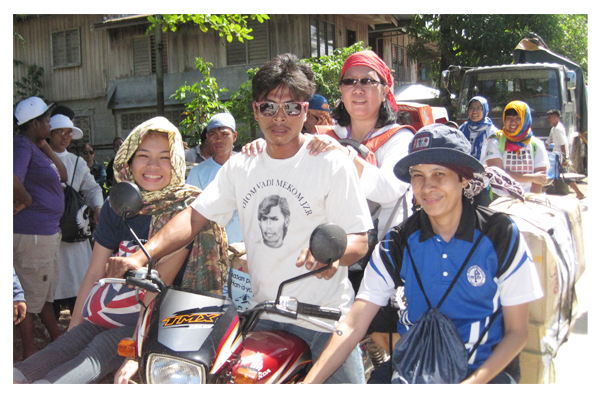 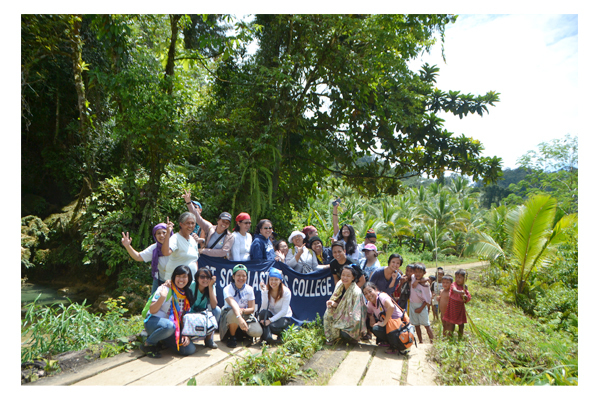 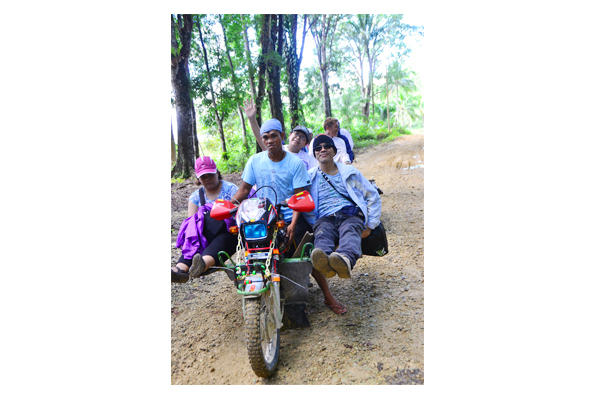 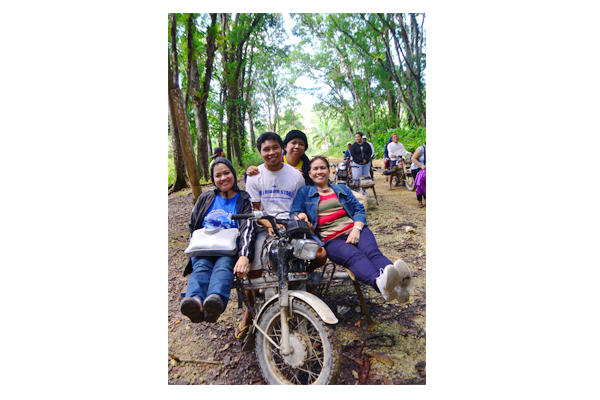 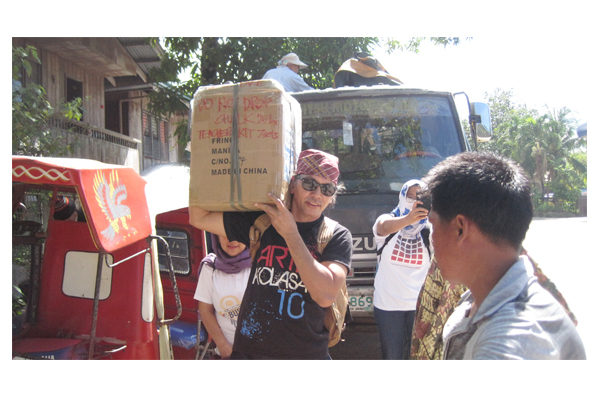 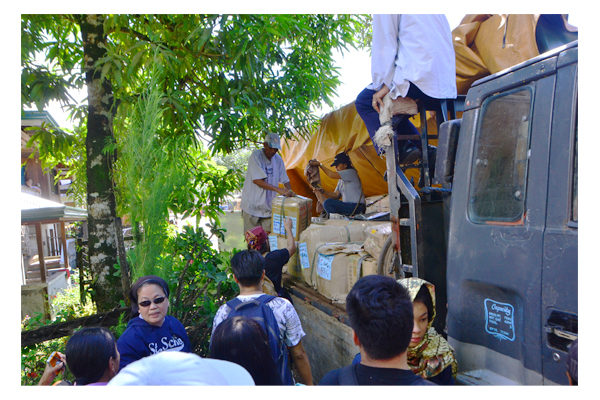 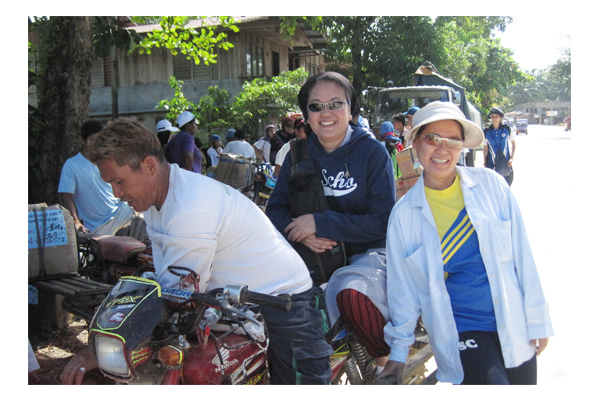 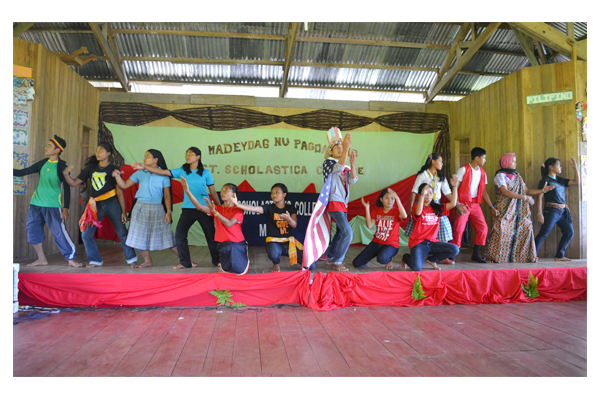 Aside from going through the difficult but memorable habal-habal ride through the rough mountain roads of Han-ayan, the interaction with the Manobos, the public school teachers and students deepened the need for partnership in improving the conditions of the people in Marihatag especially in the area of education. 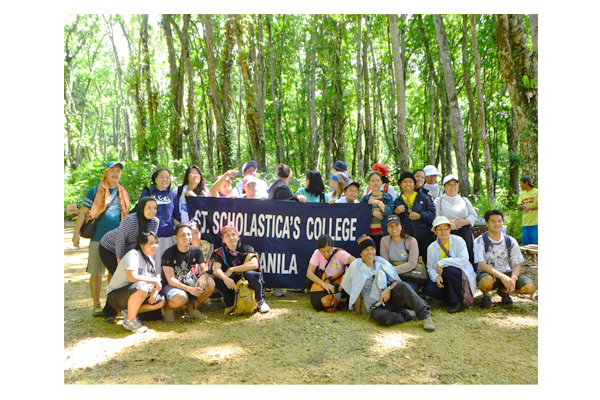 It also increased the group’s appreciation for the country of its very rich culture and resources, underscoring the commitment to care and protect these. 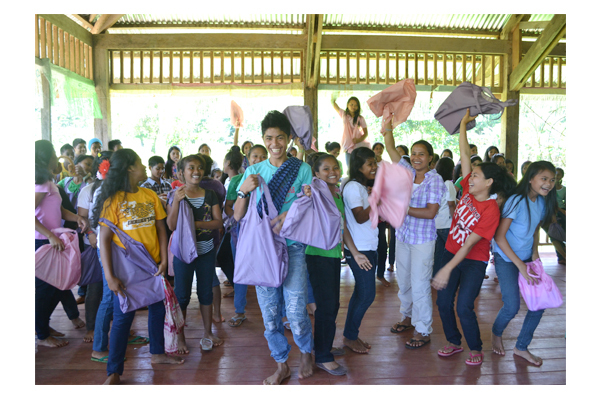 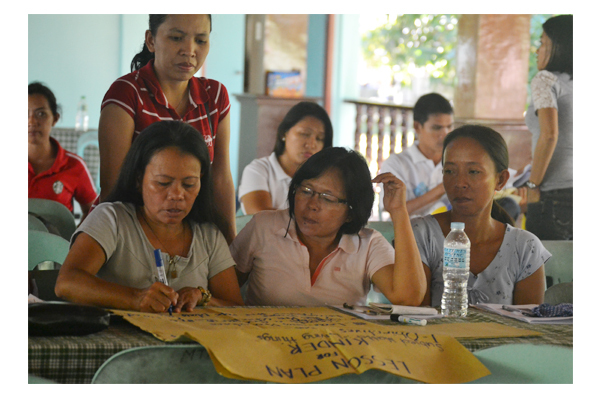 The group left Marihatag promising to conduct more teacher and student development trainings, continue its commitment to provide school materials and supplies and most of all strengthen and concretize SSC’s commitment toward social change and her option to serve the poor and marginalized.